Hello, From the Other Side! After over two years of interviewing different people I’ve become more comfortable with the process. I think I have a long way to go to become really good at it, but one thing is certain; I much rather ask the questions. However, recently I was interviewed for the Vision Aware blog and the process was pretty painless. Writer, Susan Kennedy asked some good questions that really gave me a chance to get into the back story of Reid My Mind Radio. While I don’t want to put myself in a box in regards to the things I talk about in the podcast, people adjusting to any form of disability, specifically vision loss; low vision or total blindness and everything in between, those are my people! I want them to know they can come here and hang out and it’s all good! I got you! Head over to the Vision Aware Blog and check out the article. Hopefully this piece will attract all sorts of listeners & readers (don’t forget we have transcripts for Deaf and Hearing Impaired). Either way, the plan is to continue amplifying these experiences and having fun while I do it! If there are any new readers/listeners finding this blog & podcast … welcome! Posted in Blindness, General, Media | Comments Off on Hello, From the Other Side! 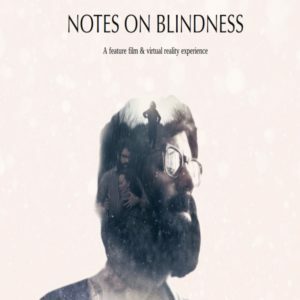 In this episode of RMM Radio, I take a look at Notes on Blindness, a new film released in the US and premiering in NYC. It’s the story of John Hull who recorded his thoughts, observations and more on audio cassette. This Gatewave story includes a conversation with Co-Director Peter Middleton. It’s pretty hard to watch a movie about someone going blind without thinking of my experience. Checkout some of my own personal recordings included in this episode. – In the meantime, hit the Play button below! Today I am sharing a recent piece for Gatewave Radio. A first of sorts for me. A story about a new film being released in the United States on the topic of blindness. This was a challenge for me, I’ll tell you why after you take a listen. This audio is from the movie titled Notes on Blindness, just released in New York City and playing at the Film Forum. Theologian, John Hull using a cassette recorder, documented his experience and thoughts as his vision faded beginning in 1983. The film was produced using both actual tape of John Hull and his family as well as interviews he and his wife Marilyn had with co-directors Peter Middleton and James Spinney. Actors portray John and his family, but they are lip syncing to the recorded dialog. I spoke with co-director peter Middleton (PM) via Skype. Using film to try and convey the sightless experience is quite an exciting creative challenge for us. So undoubtedly there was that sense of artistic project which first attracted James and myself to John’s story. He would have dreams of water sort of rushing down and sweeping his children away and dragging him to the depths of the ocean. And all this kind of very powerful imagery that was just absolutely kind of laced throughout his account. And of course the connotation of water as the bringer of life. Remember, The original audio used throughout the film was recorded via cassette in the 1980’s. Audio restoration, editing and sound design are other artistic elements of the film. It was the inclusion of audio description that gave me access to some of the visual techniques used to tell the story. Like Shadows, blurred or out of focus fades and sun spots. an exclamation mark or bold emphasis highlighting a turning point in his life. Peter says audio description served more than giving people with vision loss access. Since we’ve been releasing as well we’ve been trying to open this conversation around accessibility and different ways people could approach the film so it has taken on that kind of social angle as well which we’re very much relishing and very much hoping to push further. In addition to the audio description, a Virtual Reality experience and enhanced audio version were created. Which rather than having an external audio narration as you would do in audio description, actually built in more narration from John and Marilyn, the key subjects of the film, along with sort of sound design and music. We’ve been releasing these audio tracks with a smart phone app that allows audiences to sync that up in cinemas or on TV o\r on DVD or home or what have you. Director Peter Middleton said John Hull was very specific about assuring that Peter and his Co-director James Spinney understood this was just one experience. He was always careful to point out that he didn’t intend to speak for or on behalf of anybody. So we were aware that our kind of knowledge and our experience of blindness is very much refracted through his subjective story and subjective account. Yet a close examination can provide some insight into the shared vision loss experience. Like the strong need to continue. For some that means continuing an education or a hobby. In Hull’s case it meant his career. No, look, how do blind people read big books? Finding new ways for accomplishing a task, well that’s a big part of a person’s adjustment to blindness. Resolving some of these basic difficulties offers hope! Until… the next even more difficult problem arises. Another obstacle in the process of adjusting to blindness, , maintaining or establishing relationships. John tries to quickly get to her aid. When he arrives , Marilyn is comforting her and already has the problem under control. He struggles with feelings of inadequacy as a father. Relationships with his wife, parents and even with God are all parts of his own journey. Notes on Blindness, while a personal portrait of one man’s experience losing vision, is a poetic but practical look at the journey through loss. Take for example, the role and importance of adaptations. [notes on Blindness Audio playing in the background. we watch as the father and son practice their special way of saying goodbye. [Notes on Blindness Audio: Their exchange of goodbyes growing further apart and his son Thomas’ voice fades with each goodbye. We witness not only the bonding between father and son, but Hull’s appreciation for these small yet meaningful adaptations in his life. It’s not a movie for just the audience. What have you personally learned about blindness after all of this work? Spending so much time with John and being able to listen to his account and researching has lead us to further research on different kind of people’s experiences. It’s been an incredibly fascinating process for us. Vision, often considered as the most feared sense to lose, yet the dialog offered by Hull and the sound design and music have a very calming effect. As if saying, it will all be alright. Or maybe that’s just my final note on blindness. at the Film Forum. Other cities are soon to follow. As well as on demand distribution in the future. Visit BlindnessMovie.com for more on dates and information. I like to profile people who are doing things that ultimately dispel the misperceptions about blindness. I’m cynical when it comes to movies about blindness and disability. My experience says they are probably going to be the sappy oh look at this poor guy or wow, isn’t this person so amazing! Naturally I thought of my own experience while watching. I guess you could say it was a comparison of notes! I had my own similar experience and questioned my usefulness in emergencies. Fortunately, I realized there’s no way I’m useless… as Hull felt at that time. Again, the experience of blindness is specific to the individual. I don’t think it’s a spoiler so I’ll share that Hull comes to see blindness as a gift. He’s clear to say it’s not a gift he would want for his children, but he recognizes there’s something there. I don’t think I ever referred to it as a gift, but I know it’s not a curse. I found myself very much curious about how John’s vision loss impacted his children. Specifically, his oldest daughter Imogen who was around the same age as my oldest when I went blind. She reflects on her relationship with her father both as a child an as an adult in a short film titled Radio H.
not much time interacting with his kids. At least not much that showed a playful side. him telling adventure and spooky stories. I’m a sucker for Daddy Daughter stories! see the links in the resource section included with the notes for this episode on Reid My Mind.com. While you’re there, hit that subscribe button or subscribe to Reid My Mind Radio via iTunes. This episode of Reid My Mind Radio is brought to you by The RAE of Hope; Shining a light on a rare childhood eye cancer. Watch the stories of people impacted by Retinoblastoma, a rare childhood eye cancer. Then share in order to help us spread awareness! 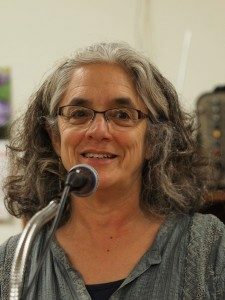 Today’s Gatewave Radio piece features Lainey Feingold who herself has done much to improve accessibility in the real and virtual world. Her book Structured Negotiation: A Winning Alternative to Lawsuits is now available and as you will hear in today’s piece, it offers so much to those outside of the legal community. 1, 2, 1, 2 is this thing on! Back again, after a brief hiatus during the summer. Unfortunately, not a summer vacation rather a working, very working summer. Before we get into this latest piece for Gatewave Radio I wanted to share just a quick note and bring your attention to something that we do every year here on the Reid Compound – that’s my family and I, the whole Reid family. We used to call it pennyPushUps but now it’s actually now called The RAE of Hope and you can go check that out a at Facebook.com/TheRAEOfHope. And the RAE is R A E of hope The RaE of Hope.It’s an awareness and fundraiser campaignsupporting children with eye cancer as well as the organization World Eye cancer Hope. It’s stories about people who have been impacted by this eye cancer. These stories are in video format however they are fully accessible, the stories are told fully in audio. And this year I am happy to say we are also including closed captions on the videos that are on YouTube. It’s just a little easier of a process to get the captioning on YouTube than it was for Facebook. So again, Facebook.com/TheRAEOfHope . You can check out our playlist on YouTube using the short link bit.ly/TheRAEofHope2016. All the links are included with this post. I’ll be back after this latest piece for Gatewave Radio , Structured Negotiation, it’s Not Just for Lawyers. TR: In any advocacy movement, you have a number of people who to most remain nameless. they’re not the face of the movement, they don’t have the loudest voice, but they make things happen. Meet Attorney Lainey Feingold (LF). When it comes to some very noteworthy advocacy success stories, she’s been involved. In fact, she developed the blue print to a method for reaching agreements called structured negotiation. LF: Structured negotiations is a way to resolve legal claims without filing a lawsuit. It grew out of the blind communities desire for accessible technology. Specifically it grew out of the quest for the talking ATM’s back in the 1990’s. TR: The banks all agreed and not only was that the beginning of structured negotiations, it was also the beginning of talking ATM’s. LF: It first starts with the group of people who would be called plaintiffs in a law suit. In structured negotiations their called claimants. In my work with the blind community that means individual blind people or blind organizations that have a legal claim but would like an alternative method for resolving it. contacted Lainey and her longtime colleague Linda Dardarian. LF: <> We wrote a letter to Major League Baseball. Bay State Council of the Blind was the core organization behind that effort. We introduced the organizations we introduced the individuals. We said to Major League Baseball you know there’s a lot of blind baseball fans out there they don’t have access to the online games, they can’t access the statistics because you haven’t coded your web site properly. This violates the ADA, but rather than file a lawsuit we’d like to work with you and get the problem fixed. Major League Baseball answered our letter and that was the start of a really great relationship that continues to this day. TR: Once all the parties agree to move forward with structured negotiations the next step is agreeing and signing a ground rules document. LF That just acknowledged that we’re doing this process instead of a lawsuit, protected certain confidential information, made sure no one would be penalized. Then we started a process of meetings. Most of them were on the phone. TR: Teleconferences made it possible for all the parties located on both coasts to be involved . The next step is identifying and agreeing on the experts which Lainey says can lead to lots of battles in a lawsuit. LF: Major League Baseball worked with experts that we recommended. They worked with blind baseball fans around the country, they improved their website, they improved their mobile app, we did testing along the way and at the end of the process we negotiated a settlement agreement just like an agreement that would have been negotiated had a lawsuit been filed. TR: Similar to a lawsuit settlement, built into the agreements are methods for monitoring and enforcement. But unlike a lawsuit, both of these parties are working together and actually building a relationship with shared goals. LF: we run into problems with enforcement but when we do we have the relationships to make sure those problems are fixed. Some people use rubber bands to distinguish . One rubber band is this prescription two rubber bands is that prescription. Or they’ll keep the medication in different places and try to remember which is which. without talking prescription labels it is a very dangerous situation for blind people. Even in some of the companies that we worked with, because there are so many stores it’s possible that even with a company that offers talking labels, a blind person can walk in and the person behind the counter doesn’t have any idea what they’re talking about. So, I do have a post on my website that details what all the companies are doing in the United states with phone numbers to contact if there’s a problem. TR: Working on more than 70 cases over the past 20 years, Lainey is clearly passionate about the issues. LF: I really just wish I could broadcast this from the rooftops! TR: I guess she could do that, but people would think she’s a bit off. rather, she wrote a book detailing what she learned after 20 years’ worth of cases. It’s called structured negotiation: A Winning Alternative to Lawsuits. LF: I wrote so that advocates and potential clients and organizations could read it and understand that this is an alternative to filing a lawsuit that could be used for lots of different kinds of cases. I’m not the only person who uses it. We have a wonderful disability rights bar association that’s national. Other lawyers have started to use the process. TR: Despite the success, Lainey says, lawsuits have their place. LF: Lawsuits can be very important to moving society forward. I give some examples of cases; marriage equality or Olmstead. There’s a tremendous number of cases that needed to be filed..
Lainey writes about the back story to cases she has worked on over the past 20 years focusing on accessible technology. It’s also a resource for those who want to get an understanding and develop the mind set to work in collaboration. LF: You need to have an attitude of cooperation. Which is different from the attitude you need to be fighting with somebody. 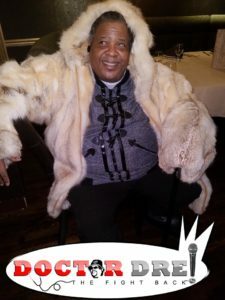 You’ve been working with the blind community for over 20 years now, what sort of things have you taken away from relationships that you’ve built? LF: you know I wasn’t familiar with disability issues at all until I somewhat randomly took a 4 month position as the Disability Rights Education & Defense Fund (DREDF) in 1992. I was planning to stay for 4 months instead I stayed for 4 years . So it’s really just been an amazingly great way to be able to practice law and have clients that are friends and to understand the disability community from inside of it. TR: The next time you’re completing a transaction at a store using an accessible point of sales terminal to process your credit or debit card, or you’re making use of a talking prescription label or ATM, keep in mind that those things came about because of people like Lainey developing relationships making a more accessible world for all. by the way is a great example of a well-organized accessible site. You can send her email directly at lf@lflegal.com. She also posts about accessibility on Twitter at @lflegal. her book, Structured negotiation: A Winning Alternative to Lawsuits is currently available via the American Bar Association’s website. For those with print impairments it is available on Bookshare.org. Big thanks to you Lainey for helping to make the real and virtual world more accessible. A few months ago, I began incorporating transcripts into all of the audio I produce for ReidMyMind Radio. I made sure that this year’s Retinoblastoma Awareness & Empowerment campaign for Childhood Cancer Awareness Month included closed caption. Lainey actually had a big influence on that. It was during our conversation that she mentioned how she pays for the production of transcripts in order to make sure anything she is doing is accessible. As an advocate for access, I want others to realize why things should be accessible to people with vision loss, but I’m creating things that are inaccessible to a segment of the population. Plain and simple, I had to check myself. Yes, it’s a little extra work, but it actually improves my process… once again proving that accessibility has benefits that go beyond the community receiving access. I’m in no way patting myself on the back – because I don’t deserve that. I am thanking Lainey for helping me become better at accessibility.